A classic French soup, an authentic Mexican snack, homemade Korean bibimbap; this week's menu has it all! 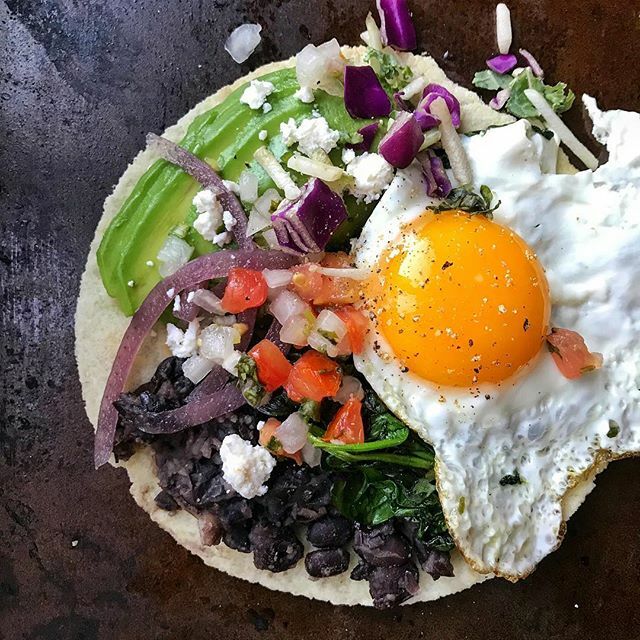 *Note: To cut down on ingredients we recommend buying a bottle of gochujang sauce and salsa or pico de gallo, those two recipes outline all you need if you prefer to go the homemade route. What's not to love about this French classic? 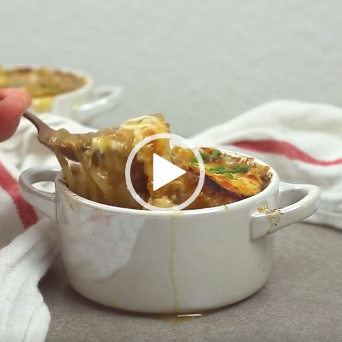 We suggest making twice as many caramelized onions as you will need for this soup. Just start with double the quantity of onion and follow the recipe as written. Before you add the flour, remove and reserve half of the caramelized onions. Once cool, you can store them in a freezer safe container for use later in the week. Feedfeed Tip When caramelizing onions, patience is key. You may be tempted to crank up the heat, but low and slow is the way to go. Remember that fond = flavor! Fond is the lovely brown bits that form on the bottom of the pan while cooking. By deglazing with a bit of wine and stock, you can scrape them up and stir them into the onions which will really deepen the flavor. 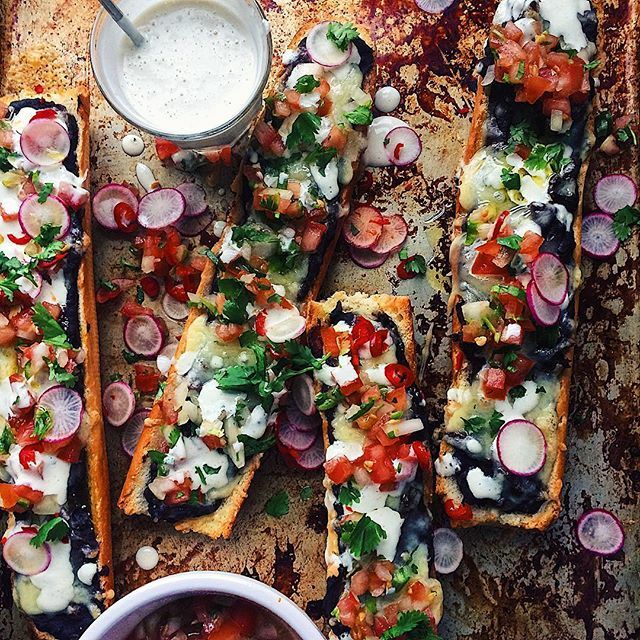 Toasty bread with melted cheese, flavorful refried beans, fresh salsa and savory tahini crema? Yep, sign us up! Use the leftover bread and cheese you have from topping your soup and save the leftover refried beans in a freezer safe container to use for weekend brunch! Feedfeed Tip Tahini is a pantry staple around here, and while we could go on and on about why it should be one in your home too, just check out our Tahini feed for all the proof you need! For those unfamiliar, tahini is a sesame seed paste that is most well known in hummus, but has endless applications. Our favorites? The base of creamy salad dressings, baked into cookies or drizzled on toast with honey! 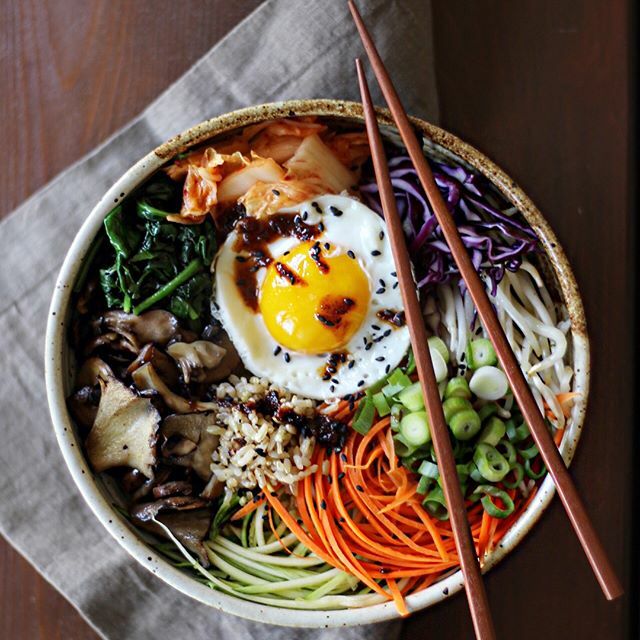 After prepping the vegetables, these super flavorful bowls come together in just minutes. Double up on the rice to serve with your dinner tomorrow. 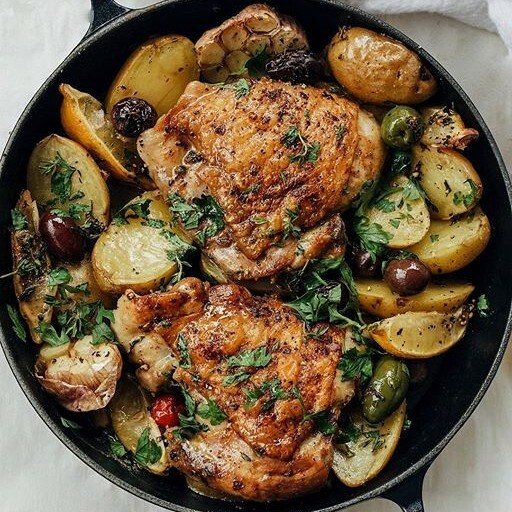 One skillet cooking is the way to go on busy weeknights! Double up on the chicken so you can have the leftover tomorrow, and serve this dish over the leftover brown rice from yesterday. Feedfeed Tip The key to delicious chicken thighs is the crispy skin! Be sure to pat the chicken dry with a paper towel and let sit at room temperature for about 30 minutes before searing. Season each side liberally with salt and pepper and add to a very hot pan with a thin layer of oil (canola is best for this). Let the chicken cook undisturbed until the skin loosens from the pan, about 3-5 minutes. Time for some greens! Serve this simple salad with your leftover chicken. 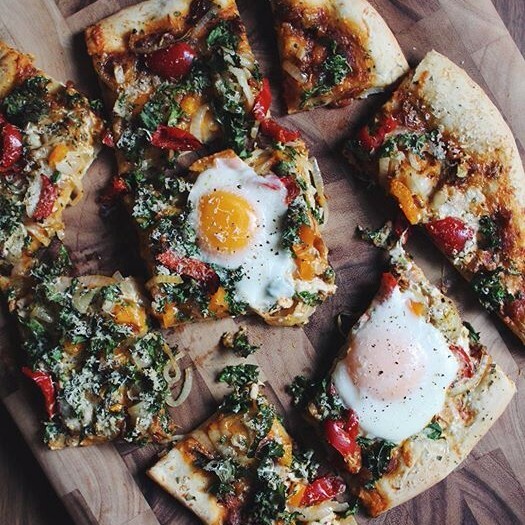 Prep both bunches of kale so you can use half tomorrow on pizza. 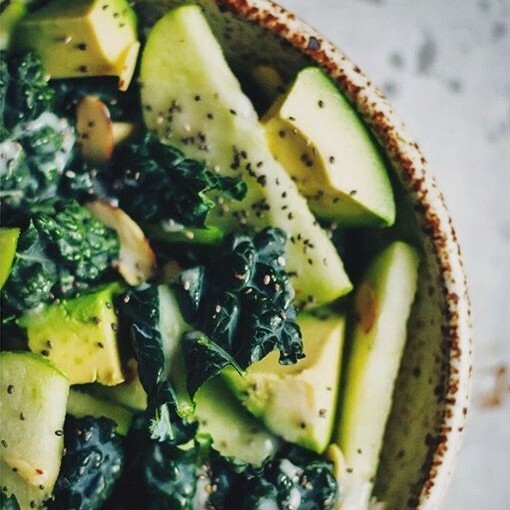 Feedfeed Tip Massaging kale by hand with a bit of dressing, or lemon juice and olive oil can help to tenderize it and make it easier to digest. Use the leftover over gochujang in place of the cherry peppers called for in this recipe and defrost the leftover caramelized onions as well. Egg entirely optional but very delicious! Remember those black beans leftover from Monday? Put them to good use for a hearty weekend brunch!